I do like the composition of this image with the main branch flowing in and down from the upper left corner, the smaller branches spilling down into the lower part of the frame, and the well-placed bird. 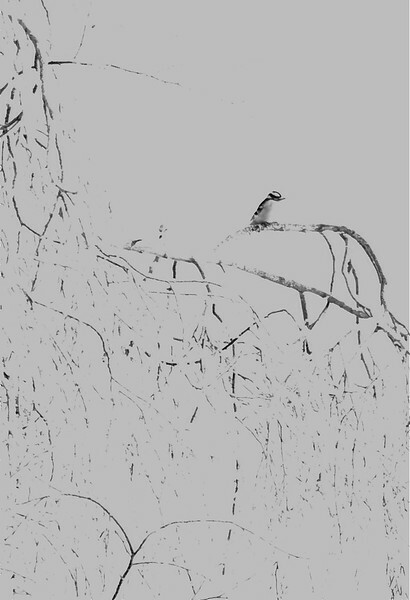 The sketch effect is a good idea but taken too far for me -- I regret the loss of detail in the main branch and especially the bird. I think I would also like this better on a white background -- the use of the brownish gray further reduces the contrast between subject and background.